We are delighted to welcome author Marla Bradeen to Omnimystery News today, courtesy of Great Escapes Book Tours, which is coordinating her current book tour. We encourage you to visit all of the participating host sites; you can find her schedule here. Marla's latest cozy mystery is Murder in White Sands (Marla Bradeen; July 2015 trade paperback and ebook formats) and we recently had the chance to catch up with her to talk about her work. Omnimystery News: All of your mysteries to date have been stand-alones. Is there a reason you haven't brought one of your characters back for a sequel? Marla Bradeen: I don't like to traumatize my characters too much, so I try to only subject them to one or two murders before letting them move on with their lives. Plus, I have a horrible memory, and I'm pretty sure any recurring characters would switch eye/hair color, height, gender, etc. between books. OMN: Into which genre would you generally place your books? 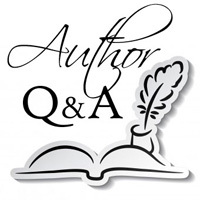 MB: I consider most of my books to be a cross between cozy mysteries and chick lit. There are definite advantages and disadvantages to not having a set category. One disadvantage is trying to appropriately label my book when selecting from a list of genres. But mystery is such a broad category anyway that I don't think I'm alone in this struggle. When I do have the option of narrowing down the category, a big advantage is that the extra genre (hopefully) gives readers a better idea as to whether my book will appeal to them. OMN: How would you tweet a summary of Murder in White Sands? MB: Ever find a dead body on your engagement night? Rae Lynn Dobbs has, and now she's committed to identifying the killer. MB: Sometimes I draw upon my own general experience in my books, but nothing specific. For example, like the protagonist in Murder in White Sands, I used to live in Florida and I once worked as a waitress in a retirement home. However, that's where the similarities end. Nothing that happens in the book actually happened to me, and none of the characters are based on anyone I know in real life (and I'm not just saying that to protect the innocent). Thankfully, during my time in Florida I never once found a dead body during my many strolls along the beach! MB: I do most of my writing either on the couch or propped up in bed. I have two cats, and one of them is usually nearby when I'm working. Oddly enough though, if I'm on the couch a different cat will keep me company than if I'm working in bed. It's almost as if they took a vote and decided who would supervise me when. MB: In the case of Murder in White Sands, White Sands is a fictional town. I was originally going to set the book in Sarasota, Florida, but the story seemed to work better with a small-town setting. Secret Agenda is also set in a fictional small town. My other four novels are either set in Seattle or Las Vegas. In those books I tried to stay true to the cities as far as street layouts and geography, although I tend to make up businesses to avoid sticky legal situations. OMN: If we could send you anywhere in the world to research a setting for a book, where would it be? MB: That one is easy. I'd love to visit Scotland. It just looks so pretty from all the pictures I've seen. You can't beat cliffs, the sea, and old castles — and all would be great places to find a dead body! By the way, I love how you qualify this question with "to do research," in case the IRS is monitoring this to find out whether that big deduction on my tax return is legitimate. MB: "… mentally twisted, but actually really boring in real life." I have fun thinking up different ways to kill people, but I prefer to save my drama for my books. MB: I appreciate receiving all types of questions and feedback from readers. Of course, being human I naturally enjoy positive feedback more than critical feedback, but I do tend to learn more from the latter. The most rewarding thing though, is when someone you don't know takes the time to tell you how much they enjoyed your book. MB: I tend to get bored easily, so I'm working on something a little different right now. Most of my published novels are chick-lit mysteries. My work in progress is more of a police procedural. I started it as part of NaNoWriMo (National Novel Writing Month, which challenges people to write 50K words during November), but I still have a lot of work to do. Marla Bradeen previously worked as a software consultant and analyst. In 2012, she gave up a traditional job for no other reason than to have more time to pursue personal interests, such as sleeping in late and taking naps. Although she misses seeing regular deposits into her bank account, she hasn't once regretted that decision. She didn't initially intend to begin writing novels, but after several weeks of doing nothing, she realized sleeping all day isn't as easy or enjoyable as her cats led her to believe. For more information about the author, please visit her website at MarlaBradeen.com and her author page on Goodreads, or find her on Facebook and Twitter. On the night of her engagement, Rae Lynn Dobbs stumbles across a dead body on the beach of White Sands, Florida. Not only does she recognize the murder victim as one of the retirement-home residents where she serves dinner, but it looks increasingly likely that someone there also killed him. To her fiancé's dismay, Rae Lynn launches her own investigation. Between the gossipy widows, the home's last surviving bachelor, and her coworkers, Rae Lynn doesn't have any shortage of suspects. But the more she learns, the more it seems anyone could be guilty. And if she doesn't find out "whodunit" quickly, her fiancé might just become fed up enough to leave. — Murder in White Sands by Marla Bradeen. Click here to take a LookInside the book. Thank you for the interview and blog space, Lance!